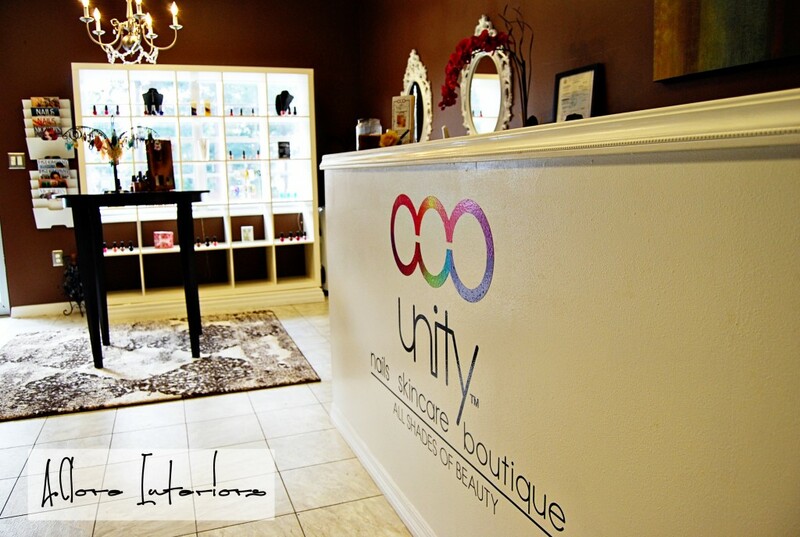 Last November, Jeany at Unity Nails and Skincare in Lake Mary, Florida asked if I could help with a new look for 2013. We were happy to oblige! 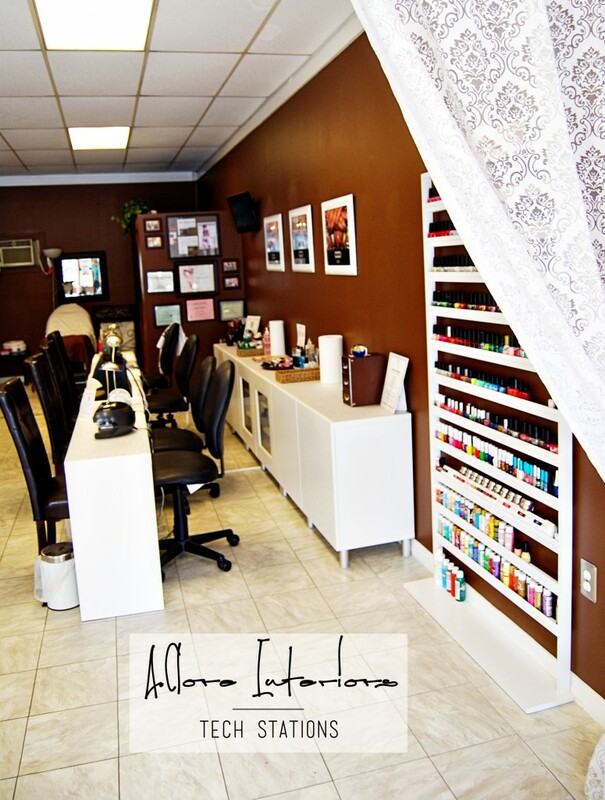 Like most of our clients, Jeany knew exactly what she wanted the space to look and feel. 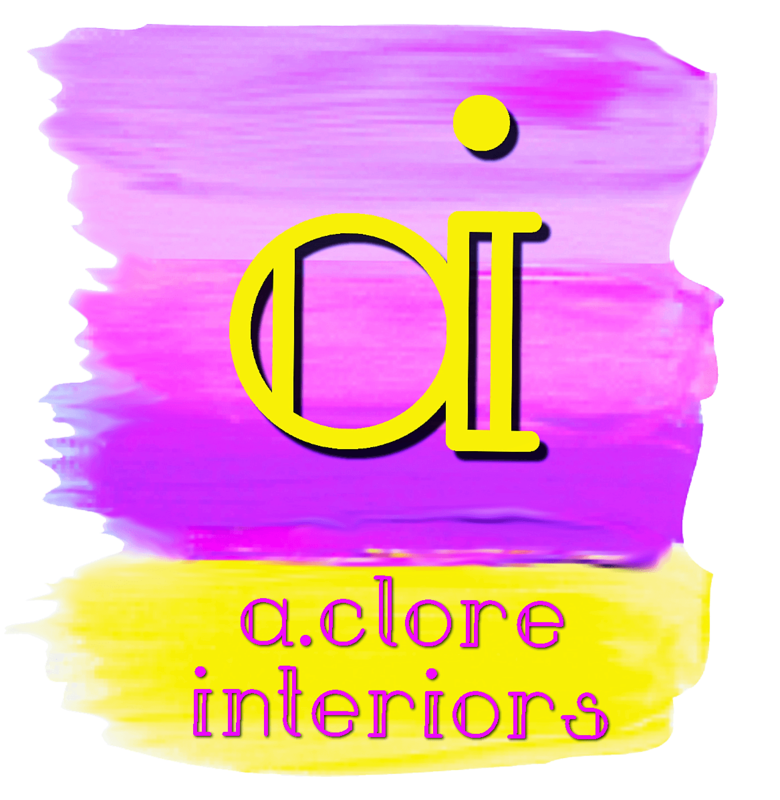 What she needed was the help to pull it all together and execute a complete design, in steps A.Clore Interiors! 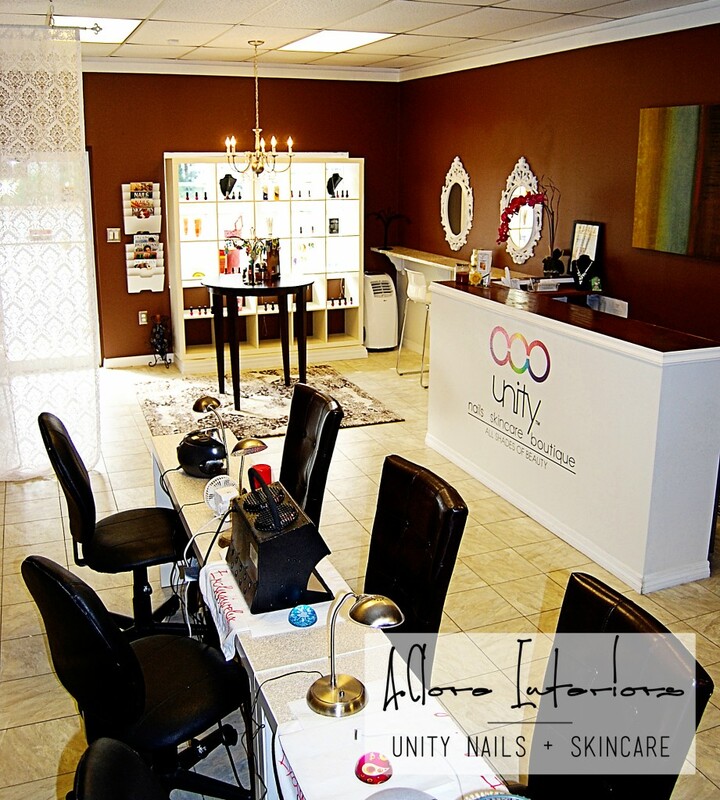 We just completed phase 1 of the design, which is the front end of the shop and includes the waiting area, retail display, beauty bar and reception desk. We are thrilled to show you how the process went! 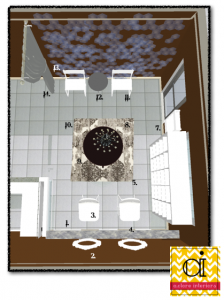 The 3D renderings and floor plans really helped Jeany gain perspective for how all the parts and pieces would fit together. 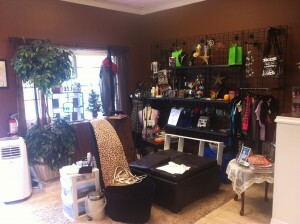 Due to time and budge restraints, we specified items that could be found locally. 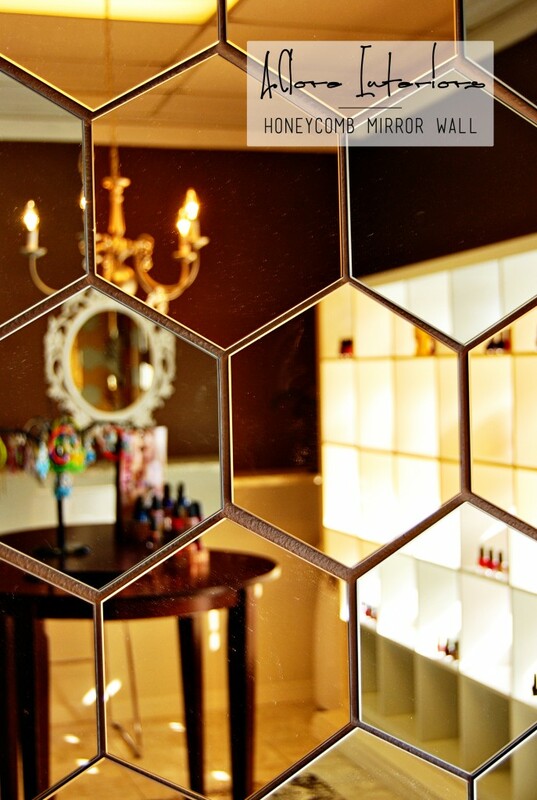 The waiting area becomes a focal feature by adding visual interest and reflection to the space. 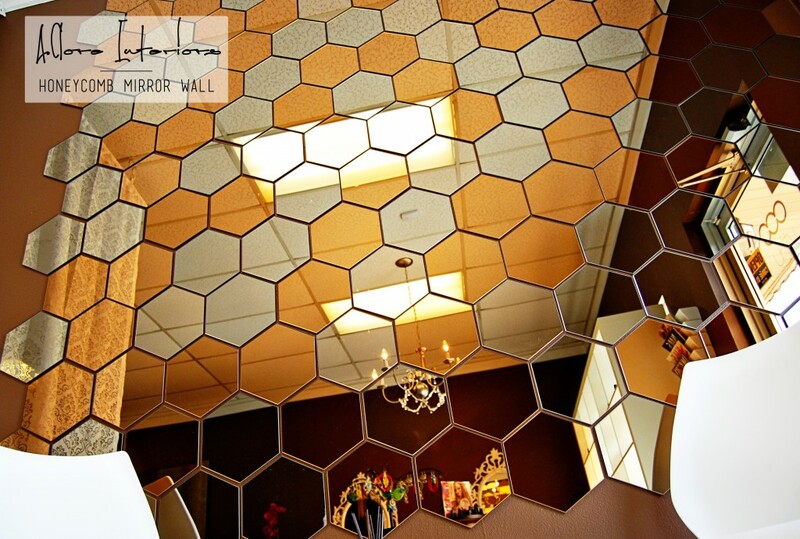 Not only does the mirrored wall elude to the sense of a larger space, the honeycomb pattern and variegated tones add a touch of glamour. 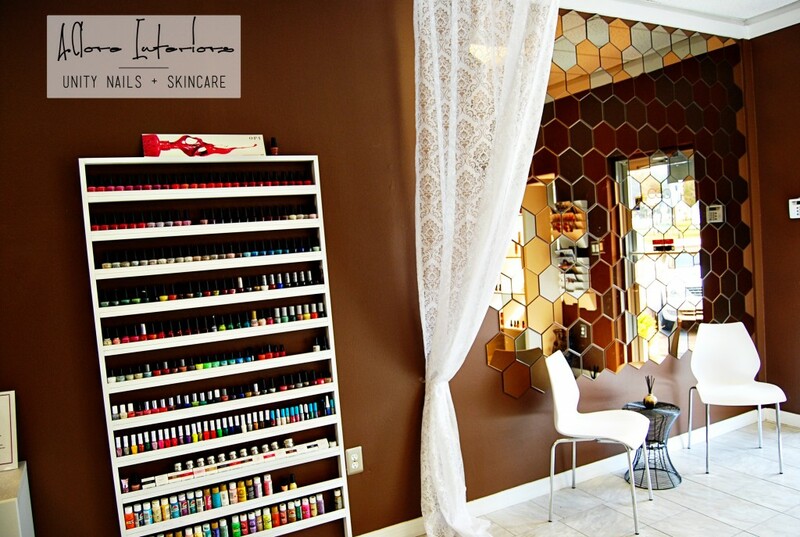 The custom nail polish holder is a fabulous way to display the endless nail color possibilities – and super easy to make and install! Through the curtain is where the magic happens!! 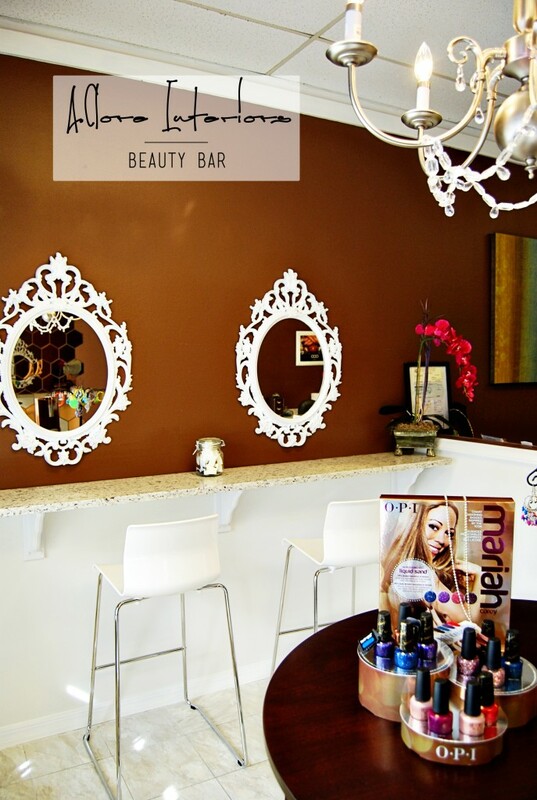 One of Jeany’s requests was for a beauty bar. To achieve this look, we found a remnant piece of granite and had it polished and installed over wood corbels. This was super easy and really makes a statement! 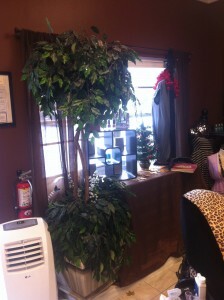 The display unit was a perfect fit for the window size! Proof that some times the Design God’s are in our favor! This was a genius solution for product display from the outside-in!! 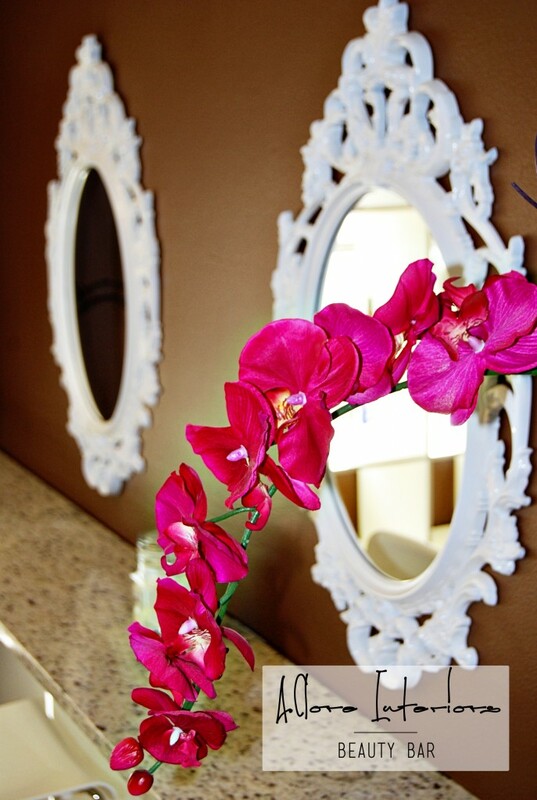 Designer Dish: We got the mirrors at IKEA and spray painted them white!! 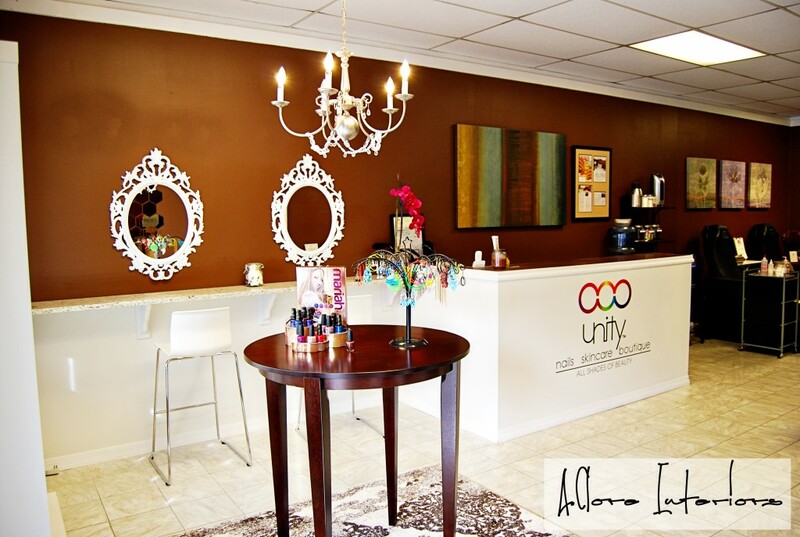 A bright pop of color is a must!! There you have it!! 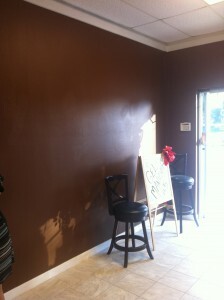 This project is a true example of getting a high end look on a low end budget!! 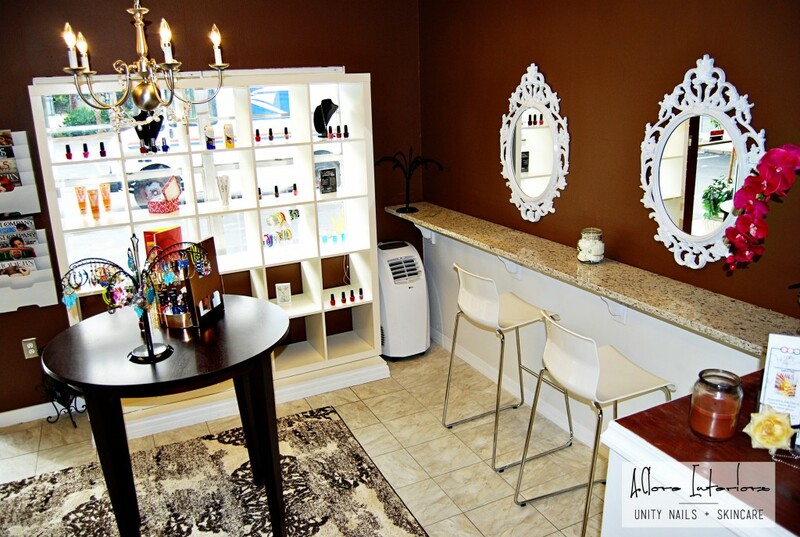 We loved working with Jeany and the girls at Unity Nails and Skincare. What a great team and an honor to help support local small business!!! I hope that 2013 brings all the best!! 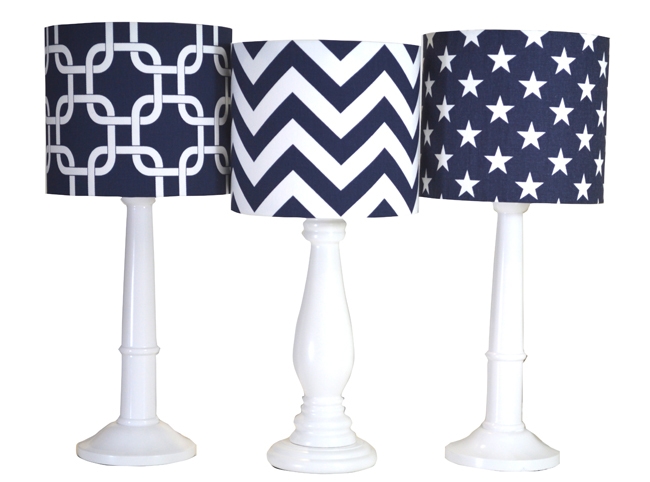 It seems navy has taken the spotlight in design and fashion, and we have no complaints. 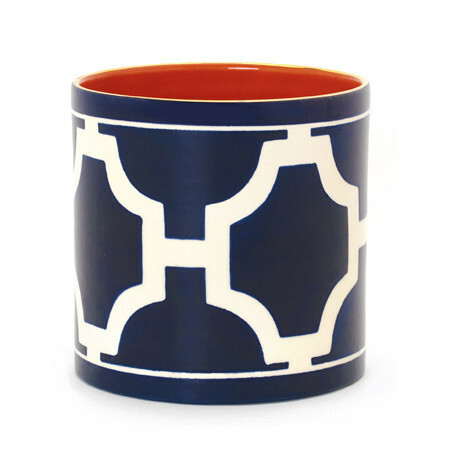 This bold hue has made its way back for a moment and has proven to be a timeless combination with practically any color palette and instantly translates to a chic ensemble or interior. 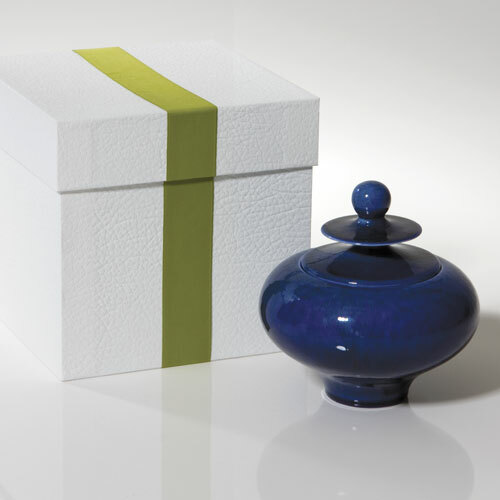 The elegantly shaped ceramic candle containers are available in 6 stunning glaze finishes. 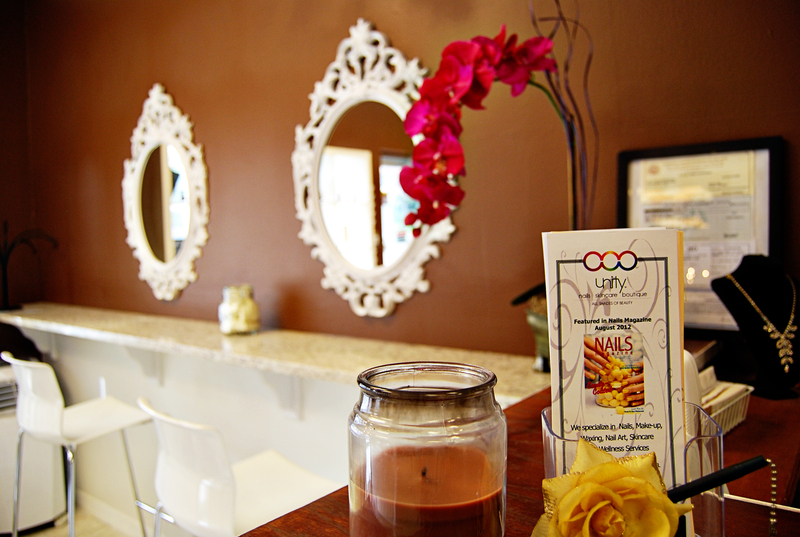 The candles feature a light “Japanese Blossom” scent. Effervescent notes of lime leaf and verbena with a sensual mix of white flowers, oak moss, and cedar make up this unique fragrance. The candles have an estimated burn time of sixty hours and are individually gift boxed in an elegant white faux leather with wasabi colored grosgrain ribbon. 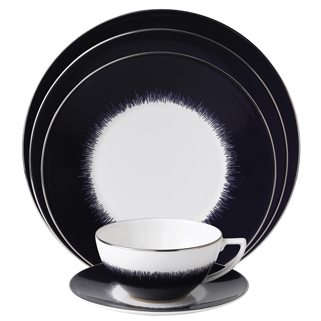 English designer Jasper Conran brings minimalist, contemporary elegance to the dinner table with his Navy Fringe collection for Wedgwood. This table scape is the perfect mix of masculine and feminine. 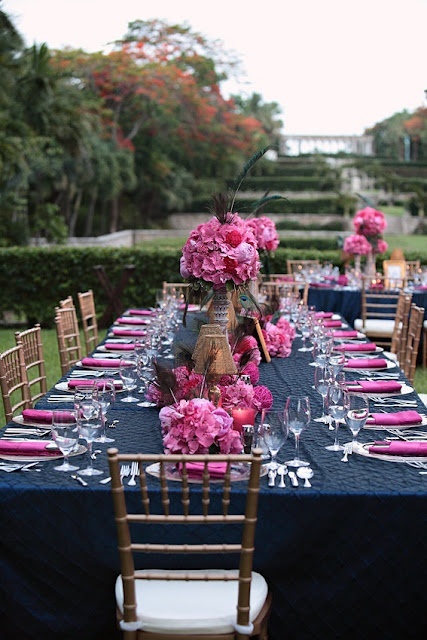 The embroidered navy table cloth provides as a bold background and contrast to the hot pink floral and napkin details. 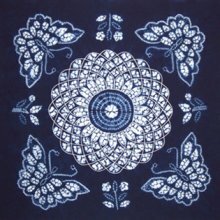 This table runner is made from medium weight cotton. 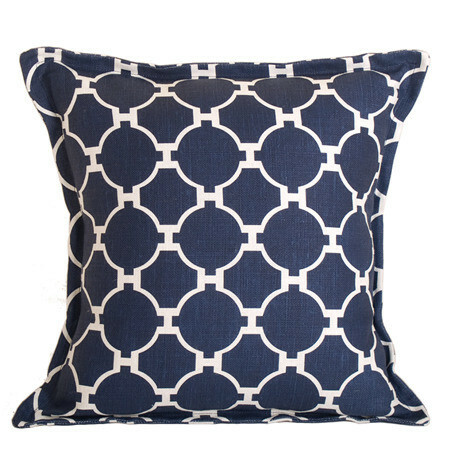 This modern geometric design in white color is outlined in black on navy blue background . The look of this table runner is linen look with a very nice feel to it. 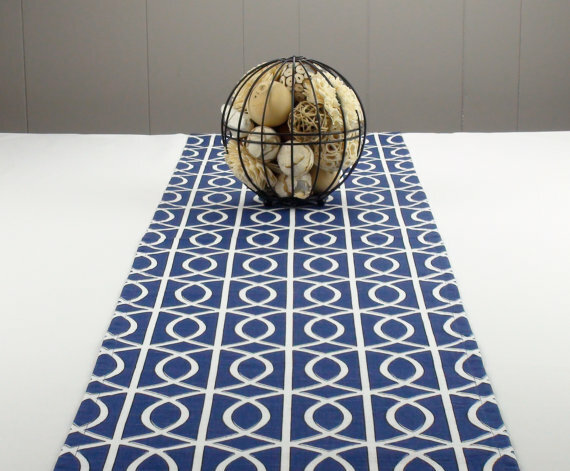 Its colors makes this table runner beautiful, yet not overwhelming addition to any home. 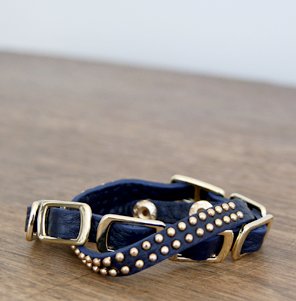 Gals who live the island life know the value of a handsome, versatile leather bracelet. This timeless accessory features soft, smooth double loop leather with d-rings and studs. It’s the perfect finishing touch for any relaxed ensemble.